A man from Toronto claims he was harassed while walking through thick brush in the Durham region by a policeman who accused him of being a pot grower, according to the National Post. Tim Marczenko denies the claim, saying he wasn’t growing marijuana, he was investigating Bigfoot sightings. The area was under police surveillance after nearby residents complained about seeing groups of young men going into the forest armed with shovels in weeks past. 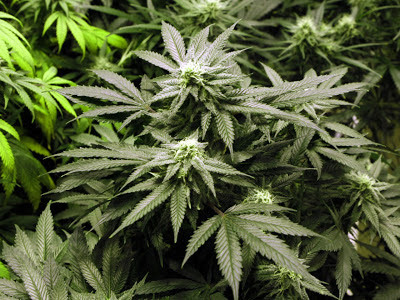 Three men were later arrested after several marijuana plants were found deep in the woods. Their cover was to tell the locals they were searching for Bigfoot. Last August, Mr. Marczenko said he was on assignment for the Ontario Wildlife Field Research investigation into numerous reports of Bigfoot-sized tracks in the Township of Brockton. After spending more than two hours in the bush and no sign of the creature, Mr. Marczenko decided to call it a day. He started to drive away from the site in his rental car but a police SUV emerged from the woods and blocked his exit. Mr. Marczenko alleges Const. Robert Aukema put him under arrest for possession of a controlled substance even though a search of his clothes, bags and car produced nothing. “He was very aggressive, very rude. He didn’t listen to anything I said, everything was a non-answer and it went on like this,” he said. In the end, Mr. Marczenko was released without being charged and handed a $70 ticket for trespassing and a warning not to return to the Durham Region. An internal investigation by the Durham Regional Police Service found no wrong doing by Const. Aukema. A police spokesperson declined to comment as the matter is currently under review by the Independent Police Review Director. Despite his run in with police he still wants to continue his search for the creature.